A tulip tree silkmoth! 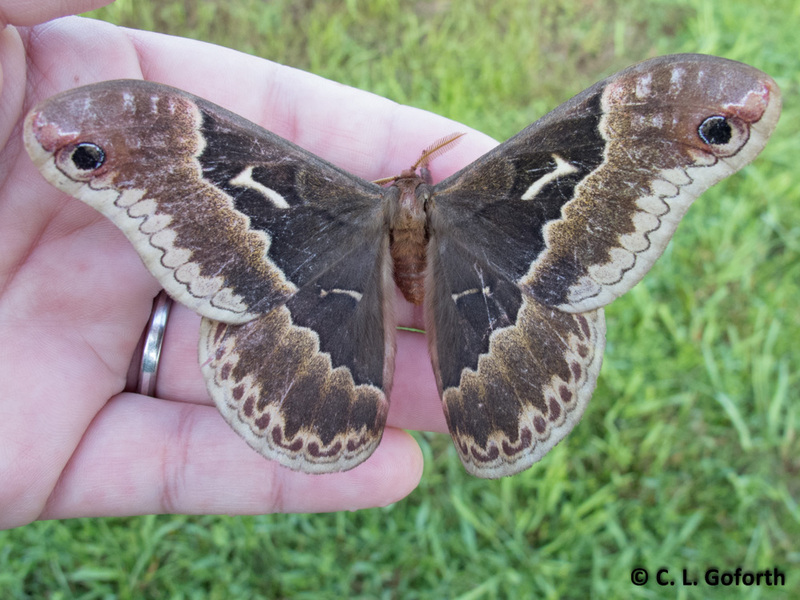 These are large, beautiful moths that come out a little earlier in the evening than a lot of the other large moths. Indeed, this one showed up on the sheet about 10:30PM. It was still on my sheet this morning, so I picked it up to move it to the bushes so it wouldn’t be quite so conspicuous to my dogs. It eventually flew off. What a lovely thing to see! A nice find. I have the joy of seeing bats in the evening in my garden who chase after moths. I wish I saw more bats near my lights! I love bats, but I don’t think I’ve ever gotten one in my yard, or at least not one that I’ve noticed. I’d like to have a go with a light to see what comes into my yard, wouldn’t expect a whopper of a moth like yours. It can be pretty easy to get a light set up in your yard! I’m going to write a post about it soon, just FYI. You all don’t have any big moths? Really? Now I’m curious what your moth fauna looks like. I know you’ve at least got some good sized dragonflies over on your side of the pond! I have a good many tulip trees in my yard. I may try looking along the treeline for these big moths tonight!